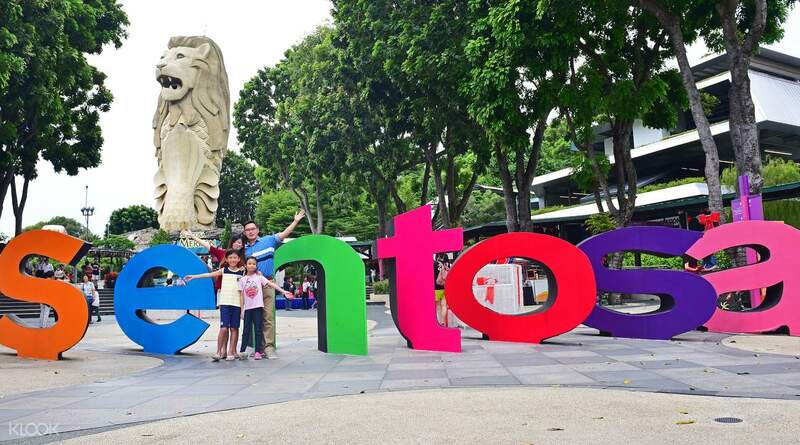 Sentosa Token FUN Pass (55, 80, or 120 tokens) are your tickets to unlimited fun at a bargain! Check out Klook's review on the Sentosa FUN Pass - perfect for first timers who want to try various activities in Singapore! 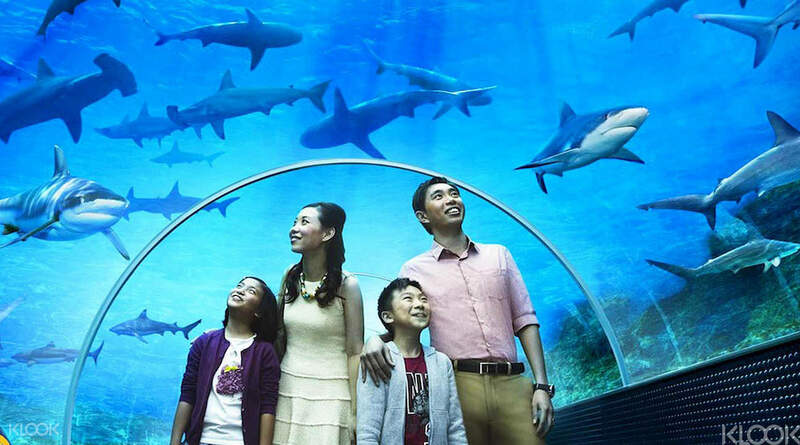 Once you book this activity, just go to any ticketing station and get your sentosa ticket. You also get your Wings of Time ticket separately. You can use the cable car to tour around Sentosa. The monorail is also free. I really had lots of fun but you need at least 2 days if you really want to enjoy the activities. Have you ever wondered what endless fun looks like? 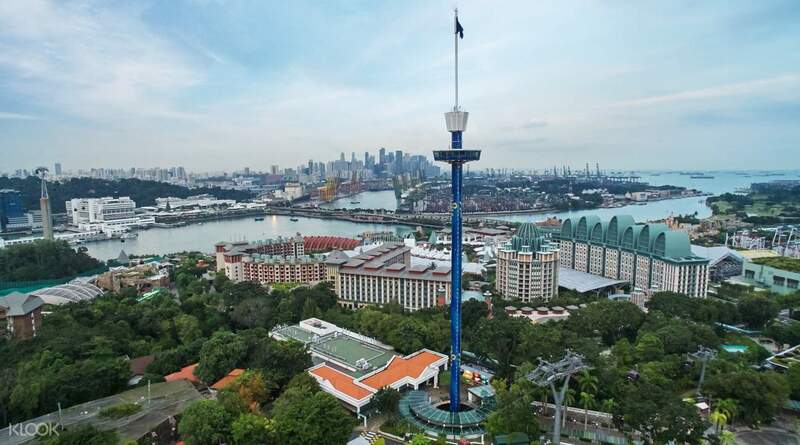 Take a look at the Sentosa FUN Pass––your ticket to The State of Fun! Explore Sentosa, Singapore's famous island resort and the abundance of activities it has to offer. Loads of alluring attractions await you: from 4D Adventureland to Megabounce and S.E.A Aquarium, you surely won’t be strapped for your choice of fun. Spend a carefree day with your family and friends and save money as you do it. The Sentosa Token FUN Pass (55, 80 or 120 tokens) is your gateway into the land of adventures, and at an affordable price! By Cable Car: Alight at Harbourfront MRT and take Exit B (Harbourfront Centre). Follow directional signs leading to Singapore Cable Car station at Harbourfront Tower II. Purchased the 120 tokens fun pass to enjoy whole 2 days excitement from Sentosa. So far, enjoyed the SEA Aquarium, HeadRock VR and Segway the first day. Will enjoy the rest tokens in Sentosa today again. The price of purchasing the token package with Klook is really better than from counter if you wanna enjoy few attraction points from Sentosa. Purchased the 120 tokens fun pass to enjoy whole 2 days excitement from Sentosa. So far, enjoyed the SEA Aquarium, HeadRock VR and Segway the first day. Will enjoy the rest tokens in Sentosa today again. The price of purchasing the token package with Klook is really better than from counter if you wanna enjoy few attraction points from Sentosa. Was able to maximize the Sentosa Fun Pass 80 tokens we availed though I had to top up the adult ticket for additional SGD5. My son enjoyed his Kidzania activities. He was able to experience being a fireman, a soccer athlete, a dentist and a driver. Afterwards, we went to S.E.A. Aquarium wherein our eyes had a feast over different marine animals. His favorite part was with the starfish where he was able to touch it. Then we headed to Headrock VR. And finally to Trick Eye Museum. He enjoyed posing and acting out the different backgrounds we saw. Especially with using the XR Museum app. Was able to maximize the Sentosa Fun Pass 80 tokens we availed though I had to top up the adult ticket for additional SGD5. My son enjoyed his Kidzania activities. He was able to experience being a fireman, a soccer athlete, a dentist and a driver. Afterwards, we went to S.E.A. Aquarium wherein our eyes had a feast over different marine animals. His favorite part was with the starfish where he was able to touch it. Then we headed to Headrock VR. And finally to Trick Eye Museum. He enjoyed posing and acting out the different backgrounds we saw. Especially with using the XR Museum app. Great deal for a 1 day planned trip to sentosa. I skipped Universal. I preplanned the attractions we wanted to see. Bought the 80 token plan, had 5 tokens planned left for a trick eye museum luggage tag, but the desk ran out. So if u want this item. I added another 5 tokens and redeemed a very nice tote bag. I’d go early to redeem first if u want the tag. How the 80 tokens were spent on attractions. Travelled with older folk: 1) Merlion - 10 tokens 2) Butterfly- 15 tokens 3) SEA aquarium + maritime - 40 tokens Note: I redeem at adventure cove desk as instructed by aquarium staff desk ( don’t know exact reason). A bit inconvenienced. 4) Trick Eye museum admission desk 1 tote bag - 10 tokens Have recommended Klook to family and friends! Great deal for a 1 day planned trip to sentosa. I skipped Universal. I preplanned the attractions we wanted to see. Bought the 80 token plan, had 5 tokens planned left for a trick eye museum luggage tag, but the desk ran out. So if u want this item. I added another 5 tokens and redeemed a very nice tote bag. I’d go early to redeem first if u want the tag. How the 80 tokens were spent on attractions. Travelled with older folk: 1) Merlion - 10 tokens 2) Butterfly- 15 tokens 3) SEA aquarium + maritime - 40 tokens Note: I redeem at adventure cove desk as instructed by aquarium staff desk ( don’t know exact reason). A bit inconvenienced. 4) Trick Eye museum admission desk 1 tote bag - 10 tokens Have recommended Klook to family and friends! so we have gotten the 55 tokens for use in sentosa. wings of time was spectacular. it was so nice. we got the premium seating worth 20 tokens. however the remaining 35 tokens were not used because we have to use it for 2 consecutive fays. the first day we spent the whole day at uss the. watched wings of time at night. the second day, it was already too late when we got to sentosa. around 8:30 and most of the activities were closed. so we have gotten the 55 tokens for use in sentosa. wings of time was spectacular. it was so nice. we got the premium seating worth 20 tokens. however the remaining 35 tokens were not used because we have to use it for 2 consecutive fays. the first day we spent the whole day at uss the. watched wings of time at night. the second day, it was already too late when we got to sentosa. around 8:30 and most of the activities were closed. We loved our Sentosa fun pass! We used it for Singapore cable car. The views were spectacular! We also went all the way up to the top of the Merlion! Our children loved it! The reminder of the token we used for the wings of time! The show was awesome and definitely recommend this combo to whoever wants to use the fun pass. We loved our Sentosa fun pass! We used it for Singapore cable car. The views were spectacular! We also went all the way up to the top of the Merlion! Our children loved it! The reminder of the token we used for the wings of time! The show was awesome and definitely recommend this combo to whoever wants to use the fun pass. Our family had such a fun time at Sentosa Resorts World. Booking our Sentosa Fun pass via Klook before the trip made things so much easier. I will definitely use Klook services again in our future travels. Our family had such a fun time at Sentosa Resorts World. Booking our Sentosa Fun pass via Klook before the trip made things so much easier. I will definitely use Klook services again in our future travels. Yet again amazing experience through Klook. Took the 120 token fun pass and spent whole day.. Cable car ride from Mount faber to sentosa was great start for the day.. Followed by 4d rides. SEA Aquarium was the best part of Sentosa which itself took around 3 hours to complete.. Winded up the day with wings of Time which was a good experience for both Kids and grown ups..Overall a very memorable trip. Yet again amazing experience through Klook. Took the 120 token fun pass and spent whole day.. Cable car ride from Mount faber to sentosa was great start for the day.. Followed by 4d rides. SEA Aquarium was the best part of Sentosa which itself took around 3 hours to complete.. Winded up the day with wings of Time which was a good experience for both Kids and grown ups..Overall a very memorable trip. great watch..!! Santosh fun pass ..we had taken 80 taken in this we had coverd sea aquarium cove advanture water park and Marline..80 token was enough to cover these three places in a single day..cause lots of activities are in waterpark.. we had taken all that was awesome .. love klook..!! great watch..!! Santosh fun pass ..we had taken 80 taken in this we had coverd sea aquarium cove advanture water park and Marline..80 token was enough to cover these three places in a single day..cause lots of activities are in waterpark.. we had taken all that was awesome .. love klook..!! awesome place with lots of fun.. start our day with sea aquarium and maritime experience.. then enjoy water rides at adventure cove waterpark. then move towards luge experience and merlion. one day is not possible to do each and every activity in sentosa.. so ends our day with lots of fun.. awesome place with lots of fun.. start our day with sea aquarium and maritime experience.. then enjoy water rides at adventure cove waterpark. then move towards luge experience and merlion. one day is not possible to do each and every activity in sentosa.. so ends our day with lots of fun..